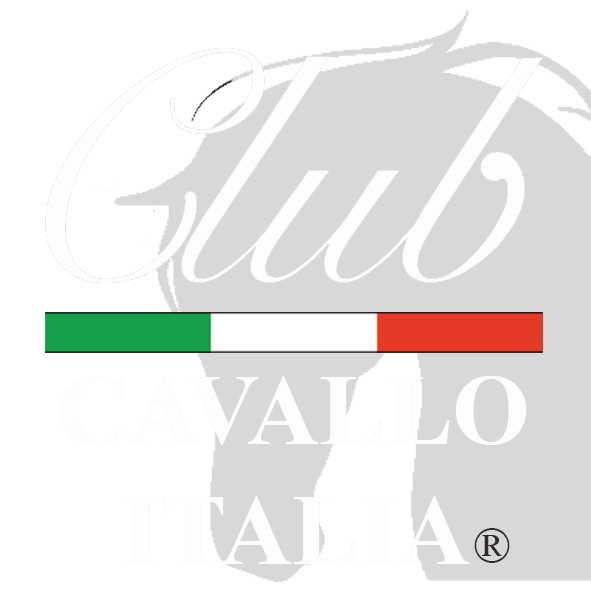 The Calabrian Horse and Calabria presented by Club Cavallo Italia. The history and the value of the Calabrian Horse are naturally intertwined with the numerous dominations that have followed one another and, since ancient times, there are many testimonies that appreciate this breed of horses described by Polibio “elegant and quick, agile and fast” . It is an ancient race originating in Calabria derived from a group of Arabian horses imported from North Africa. During the Bourbon period the horse was crossed with the Andalusian which gave it elegance in its movements and, more recently, it has undergone the influence of the English Thoroughbred, which has produced an increase in size, and of Salernitano. Calabrian horse is frugal and resistant, with a lively and docile temperament, easy to train. Saddle horse, suitable for equestrian tourism. Very suitable for jumping; strong, resistant and fast, with great balance and today, crossed with the best European genealogies, the horse continues to be more than competitive in equestrian sports. To learnmore about the Calabrian horse click here. Thank you. Now, after having met the Calabrese horse, we go to the discovery of Calabria, the tip of the boot, the extreme south of Italy, a region lapped by the beautiful waters of the Ionian Sea and the Tyrrhenian Sea. The welcoming climate, the beautiful colors of the sea, the rocky coasts alternating with sandy coasts, its wild and mysterious nature, the intense and genuine flavors of the local cuisine and the testimonies of its ancient origins make Calabria a unique place to visit both in winter and in summer. In Calabria every wish will be fulfilled. Those who love nature, its perfumes, its mysteries will be able to enter the Calabrian hinterland, discovering a pure and uncontaminated landscape, where the immense expanses of green are interrupted by the blue of the lakes and the waterfalls. Those who want to tan under the warm rays of the sun or immerse themselves in a crystal clear sea, can choose among the many beautiful places that dot the long Tyrrhenian and Ionian coasts. Finally for those who want to know the past of this land, cradle of Magna Graecia and land of ancient settlements, Calabria offers a wide choice between churches and monasteries, castles and palaces, villages and places where secular traditions and traditions survive. On your trip to Calabria, do not miss a visit to the new National Archaeological Museum of Reggio Calabria in Palazzo Piacentini overlooking Piazza De Nava in the historic center of the city, and here you can admire the beautiful Riace Bronzes. Access to the Bronzi Room is allowed for groups of up to 20 visitors and is subject to a stop of about 20 minutes in the pre-filter room, during which a video will entertain you on the Riace Bronzes. Then you will stop for about 3 minutes in the Filter Room and then visit the Bronzes room for a maximum of 20 minutes. Thanks for the visit and we look forward to it soon. Every Your visit is particularly welcome but before leaving our site discover our Leather Goods Collection dedicated to the horse. Just a moment, please: if you liked the Calabrian Horse and Calabria send the page link to those who will appreciate it, we will be very happy, if you want to read our tips on the most beautiful places in Italy click here or here and if you want to write us: info@clubcavalloitalia.it We always answer. Thank you again.